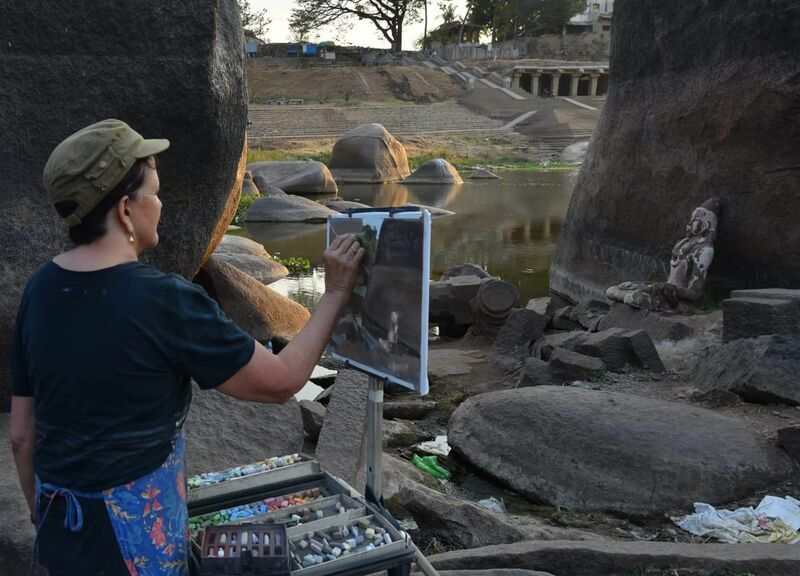 Ann Justin, local fine art pastel painter, traveled to the ancient city of Hampi, capitol of the Vijayanagar empire, located in central India. She spent ten days there, painting daily. She made friends with local tour guides and rickshaw drivers and thoroughly explored the 25 square kilometer ruins. She is displaying these “Plein Aire” paintings along with some other larger studio works of Indian scenes and characters in the cafe dining rooms. Works are on display through the end of June.